Fabio Finotti's passion for “2 wheels” started in the late-70’s when he was just 11 years old and he went on to compete in all the youth events up to 17 years of age. At the same time and with equal tenacity, he developed his other interest which he discovered at school, and he soon specialized in quality welding . He mastered the most advanced techniques of assembly for a variety of metal alloys. This would greatly shape his future career as a bicycle manufacturer, enabling him to choose the most professional partners in the field of frame manufacturing . His passion grew and at the age of 20 he began to compete as a non-professional rider in regional events. 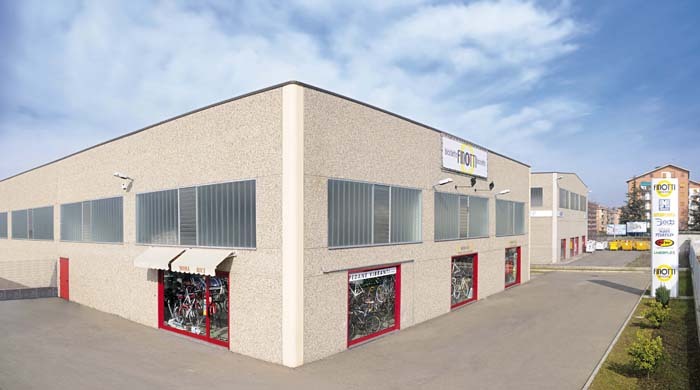 Setting store by his personal experience, both in the world of sport and craftsmanship, Fabio felt the time had come to turn professional and, in 1995, he opened his first bicycle workshop. Using his talent and insights, he quickly acquired numerous skills in assembly techniques and so in 1999 he decided to make the great leap from “a humble bike repairer and seller” to become a “ manufacturer”.He started manufacture bicycles under the registered Finotti trade mark, with its easily-recognizable greyhound logo. The business quickly expanded and the number of Finotti models rose, proving highly successful with a growing number of fans seeking real “gems”: No average bike but rather a true product of pure Italian craftsmanship, and with particular attention to the lines, finishes and most up-to date materials and the latest technologies. 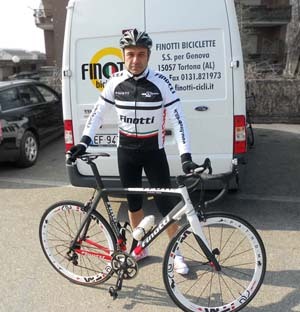 Fabio also became better known in this field through special interest magazines such as “Cicloturismo”, “ Bicisport” and “La bicicletta”, and today Finotti bicycles enjoys an international reputation. Thanks to the reader-base of those magazines, he also won the” Master Craftsmen” competition in 2002, 2003, and 2005. In 2007 he exhibited at the EICMA trade fair in Milan and was greatly appreciated by both workers and visitors alike; a success which was confirmed by the honorary title that a specialist cycling magazine gave to one of his bicycles on show “ the most admired bike on the trade show floor”. . The 450 sq.m. Finotti showroom with its workshop annex offers its dedicated customers over 300 bicycles on display as well as accessories and high-tech apparel in a warm, inviting ambience; alongside an expert technical support team which also advises the amateur Finotti sports team based in Tortona that can boast over 70 subscribers. In order to have a top-quality product, one needs to start with the right essentials, that is a good design, careful manufacturing and the best materials available. Here at Finotti, our top-range frames all share 4 key features: strength , first and foremost, and elasticity, together with a lightness of weight which also guarantee optimum balance. This is because, contrary to what many people believe, if the frame is incorrectly weighted or balanced, the other features no matter how well designed, will fail. We have based our concept on these principles which has enabled us to produce the best quality frames offering the highest level of performance. A further essential quality is the paintwork. We use Dupont® paint exclusively with a scratch-guard treatment. Both the graphics and colors can be personalized to suit the customer; unsurprisingly the paint coat alone can cost as much as a cheap bicycle import. Lastly, a particular note of importance is given to the assembly of our bikes. 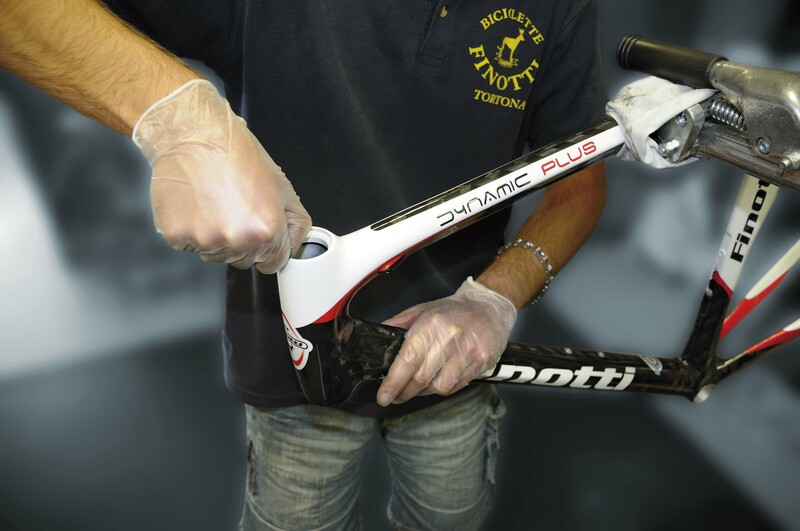 The frame is prepared using very specific tools and equipment guaranteeing that it is assembled professionally which , in turn, ensures a longer life for the bicycle. Thanks to our production methods we have, over time, succeeded in gaining the appreciation of our customers and trust in our brand name. We have an ever-growing number of enthusiasts and an ever-rising reputation among cycling experts. • It is a handcrafted product; each one is a unique and bespoke item. No two Finotti bicycles are the same. 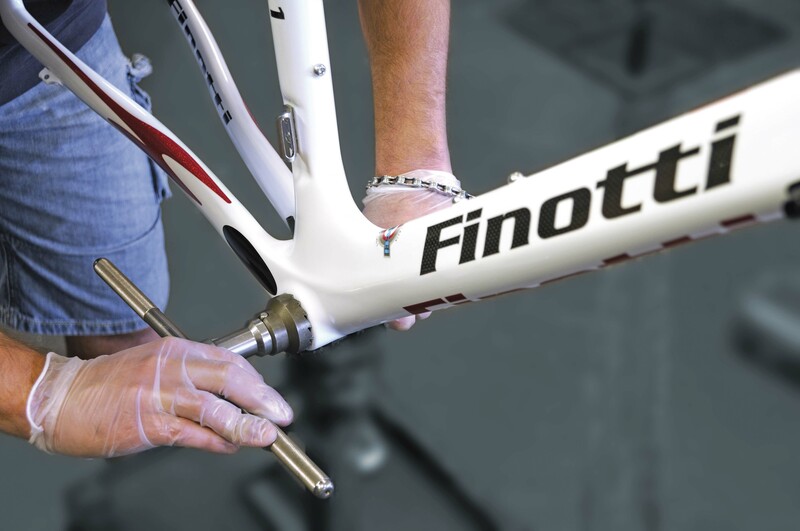 • Each Finotti bicycle is assembled by a master craftsman and each and every detail is carefully attended to, for all ranges both high and low. • Here at Finotti we can offer a vast range of models to satisfy even the most varied requirements. • Our customer is personally guided in his/her choice of bicycle ensuring that it suits each individual’s needs. Our expert advice can help both beginners and veteran cyclists alike. • We offer an excellent after-sales service. This is a technique used to shape the aluminium alloy tubes at a cold temperature. A liquid is injected into the tube itself at an extremely high rate of pressure; the tube having been placed in a purpose-built mould beforehand. The method enables us to form complex shapes, such as stiffened ribs or splays designed to replace joint reinforcements. Advantages include a better rigidity/weight ratio and a decidedly more catching appearance. 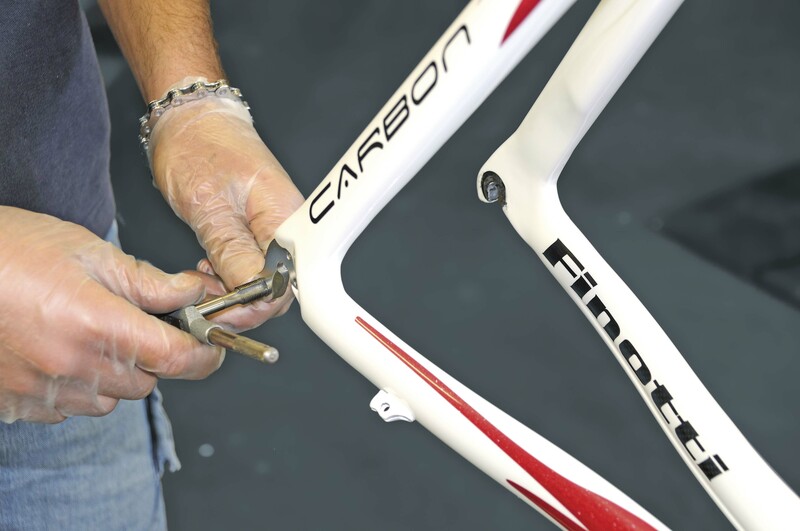 This technique helps keep the carbon fibre perfectly stretched out in the mould, preventing any wrinkles which would detract from the strength of the frame. It also allows for the use of finer and lighter carbon foils. This is an innovative method of construction for “monocoque” frames which uses a solid die in the areas of the frame most exposed to strain. During the pressing phase, it enables us to reach double the pressure of the normal 6-bar pressure used in the vacuum bag technique. In this way we can achieve a more homogeneous compactness and perfectly smooth inner surface, since any excess resin is completely removed, as well as any air bubbles between the carbon levels. This ensures better mechanical qualities of our products. This is more appropriately called "epossidic resin loaded with nano-particles" and is, therefore, a nano-composite. 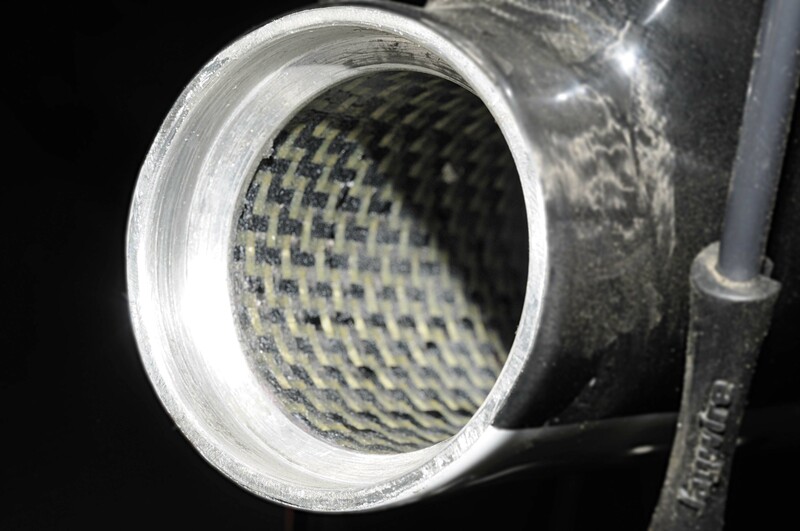 In fact, these nanometric additive powders greatly increase the level of cohesion between the matrix and the fibre which helps prevent delamination on impact and allows for the use of less resin and a greater amount of carbon, resulting in a notable reduction in weight. 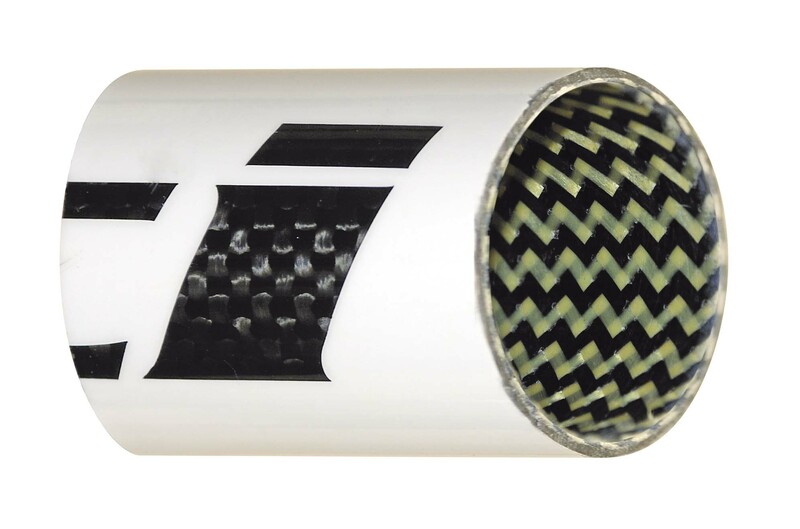 Hybrid materials in carbon fibres and aramid fibres (Kevlar®) are used at strategic points on our top-range frames. 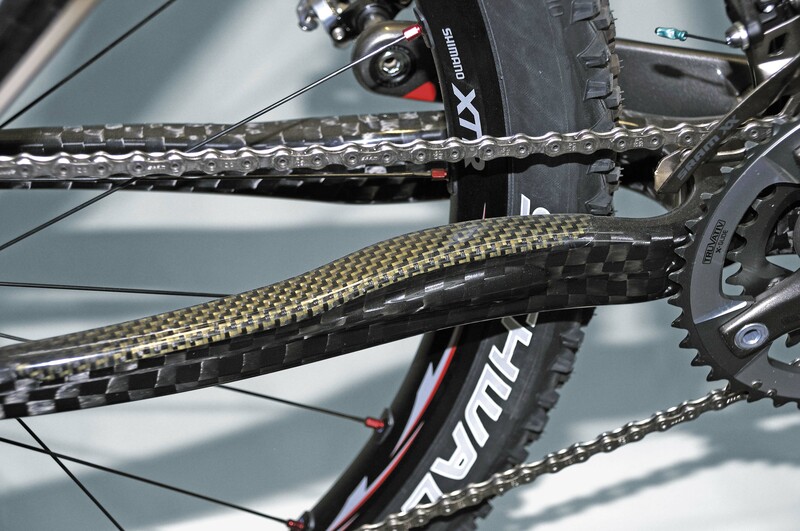 • An outer protection of the frame in places such as on the chain guard or under the MTB as a guard against bouncing pebbles. 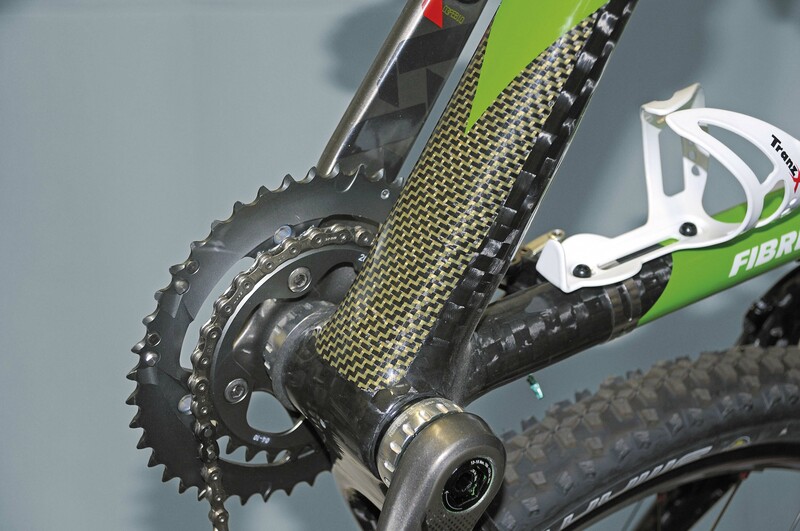 • This use of fibres bearing different properties, high-resistance (HT) carbon, high-module (HM) carbon and (Kevlar®), aramids results in a highly superior frame. You can find all kinds of bikes in our huge, well-stocked showroom, from racing-bikes to mountain bikes and touring or utility bikes – all boasting only the best brand names; together with a vast assortment of accessories and all-weather, high-tech clothing. 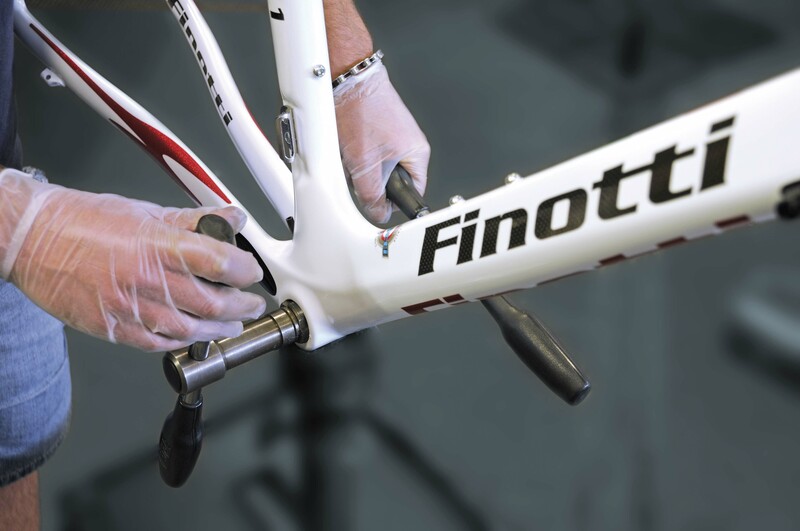 Thanks to decades of experience in this field, Finotti is able to offer expert assistance every step of the way, from the choice of bike to after-sale , in order to guarantee each and every customer the highest standards of care. Some stages of production carried out by hand before the frame is assembled. Some details of the Kevlar protection guards and reinforcements.